If you’ve ever had the pleasure of climbing the side of a building, chances are you are well-aware of the round metal cage whose function it is to protect you from violently crashing to the ground. Also, it’s likely that at some point during your ascent you thought, “How is this round metal cage supposed to protect me from violently crashing to the ground?” Well, it looks like you weren’t the only one. In fact, it was widely recognized that ladder cages did nothing in terms of worker safety and fall prevention. So, as of the release of the new Walking/Working Surface standard, ladder cages are being phased out. Now, don’t panic if you’ve got a facility full of them. 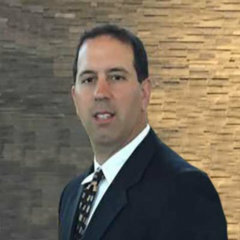 OSHA has various dates for compliance to allow for a gradual transition and to ease the financial burden on property owners/employers who find themselves needing to make a change. For now, existing ladder cages are grandfathered in, but that will change eventually. 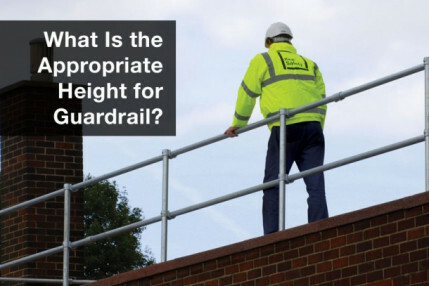 The first compliance date comes late next year and is the deadline for when employers must ensure that all fixed ladders have some type of safety system. The deadline, November 19, 2018, still allows employers to select wells as their fall protection option as long as the ladder already existed. Technically, that means that a newly installed ladder between now and then could still have a cage installed because it will have been “existing” on November 19, 2018. Of course, to make things easier going forward, employers could simply opt to install a ladder safety system or personal fall arrest system, as well, or as their main fall protection solution. On that same date, all new fixed ladders (as well as any replacement ladders or ladder sections) will be required to be installed with either a ladder safety system or a personal fall arrest system. No new installations will be allowed with cages or wells. For the most part, that takes care of the near-future deadlines. But, OSHA is phasing wells and cages out altogether, so while you may try squeezing new installations in before the deadline, keep in mind that in 20 years’ time (November 18, 2036 to be exact) all fixed ladders greater than 24’ in length will be required to have fall arrest systems or ladder safety systems. This means that your existing ladders with cages and wells will need to be retrofitted because there will no longer be any grandfathering allowed. Granted, this is quite a way down the road, but there’s no sense in employers waiting 19.5 years and scrambling at the last minute to change everything in their facility. So, as mentioned above, this leaves you with a choice between two remaining acceptable solutions: ladder safety systems and personal fall arrest systems. Most people are familiar with personal fall arrest systems (PFAS) – a harness, lanyard, and suitable anchor point. The requirements here are no different than the requirements elsewhere: fall clearance, freefall distance, proper inspection and maintenance of equipment, anchor point capacities and training in the equipment’s use must all be taken into account just as if you were using this equipment to keep somebody from falling off the edge of a building. Ladder safety systems, though, may be a little bit less familiar. While they still require a harness, ladder safety systems are rails or cables that run the length of the ladder vertically. An employee “ties-off” by hooking the front D-Ring of his or her harness to the trolley or rope grab and proceeds to climb. Certain systems will require some manual action by the user while others will simply allow them to climb, locking into place only in the event of a fall. Keep in mind that employees will need to be able to transition from the ladder to the level to which they are climbing without exposing themselves to a fall, so the ladder safety device may need to extend farther than the ladder. 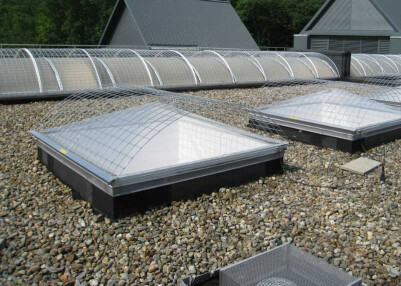 Ensure that this is designed into the system when installed or it could cause problems later on. 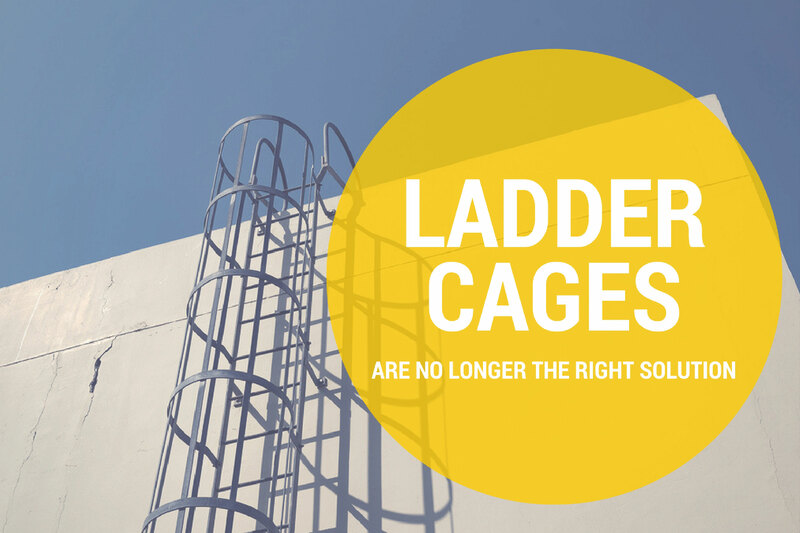 Whichever method you choose – PFAS or Ladder Safety Device – your employees will be safer when climbing your fixed ladders than they were while relying on a cage or well. Make sure you train them so they can properly use the equipment and are safe. Improperly worn/used fall protection equipment may be offering nothing more than a false sense of security. And false senses of security make people take unnecessary risks that could lead to disaster. Make sure to review your facility and start taking the necessary precautions now. Still have questions about how to secure your ladders? 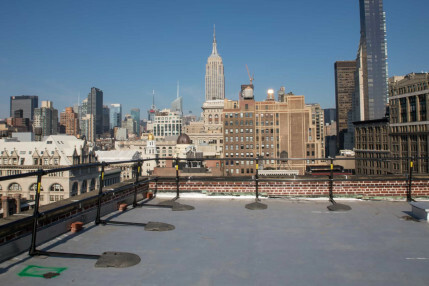 Contact our team of Fall Protection Specialists for help.